Mark Zuckerberg Announces He's Closing Facebook-Fiction! - Truth or Fiction? Mark Zuckerberg Announces He’s Closing Facebook-Fiction! Mark Zuckerberg has announced that he’s closing Facebook, citing concerns about the social media platform’s impact on the world. False claims that Mark Zuckerberg is closing Facebook came from a digitally-manipulated video that’s part of an April Fool hoax/guerrilla advertising campaign for a creative agency and video production company. Bayview Drive Films posted the video on Youtube on April 1. Appearing under the headline “A World Without Facebook,” Zuckerberg stares into the camera and states that he’s closing Facebook. The reason? It causes feelings of isolation and loneliness and has led to the proliferation of fake news. The video immediately looks suspicious. Zuckerberg’s mouth doesn’t align with the rest of his face. And after the opening address, the video quickly cuts away to scenes of people staring at their phones (presumably watching the video). But given that video manipulation is relatively new, many viewers were caught off guard — some even believing it to be true. 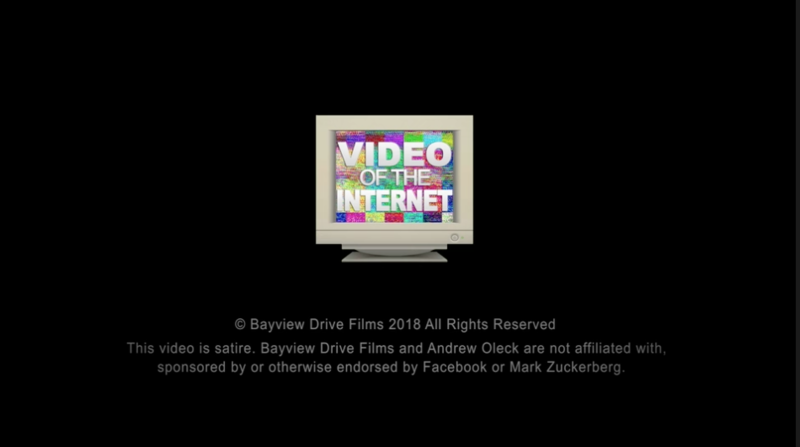 False claims that Mark Zuckerberg is closing Facebook are based on a video labeled “satire” by its creator.